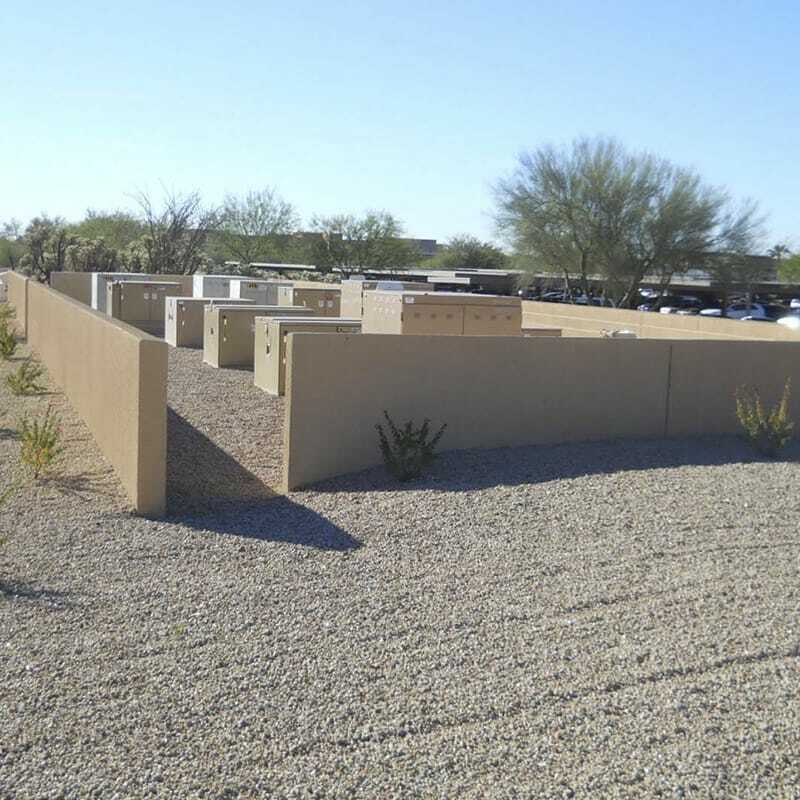 Three phase infrastructure improvements to the CVS Caremark facility in Scottsdale, AZ. Gilbane provided Construction Management at Risk services through three phases of infrastructure improvements to the CVS Caremark facility in Scottsdale, AZ. Phase I, the Critical Infrastructure Project, consisted of a new structural steel support platform to house four 1,750KW generators with three above-grade 10,000-gallon fuel tanks, and below-grade duct banks to distribute emergency power to new and existing systems. The project also involved a 5,000 SF reconfiguration of a data center, including site monitoring and control for 18 computer-room air conditioning units, 12 power distribution units, and 12 remote distribution centers. Phase II, the Data Center Loop Project, consisted of installation of new chilled water lines to support the data center areas. New cooling units were installed, and existing units were relocated to cool the data centers. New water pumps were installed in the central plant, and new fire suppression systems replaced outdated systems. Phase III, the Print Room Expansion Project, involved a 3,000 SF data center expansion with two additional sets of networking pods with support equipment. This phase also included relocation and redistribution of an existing Sitescan/BMS room and installation of new fire protection systems. During Phase I of the project CVS determined they had a need for additional power and cooling to keep up with their facility’s growth. To do so, they needed to install a 4th chiller and electrical Buss. The original design had temporary chillers being installed outside the facility in the parking lot while the work was completed in the Central Plant. The rental costs of the temporary chillers for 13 months and the elaborate commissioning plan required for them in this scenario put the project approximately $3.5M over budget and almost stopped construction. 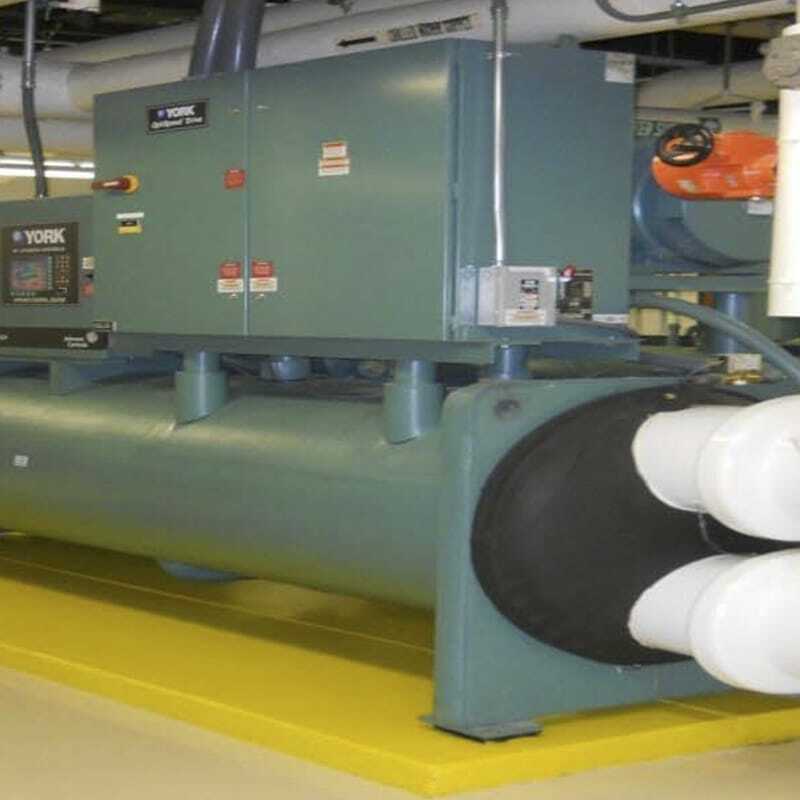 Working with both CVS and the engineer of record, Gilbane was able to develop and implement a plan to install the 4th chiller in an alternate location inside the building while keeping the Central Plant operational. This eliminated the additional costs of the temporary chillers and their commissioning and allowed the project to proceed.